We'd pack more into Quaker State® Ultimate Durability™ full synthetic motor oil, but then it wouldn't fit into this bottle. 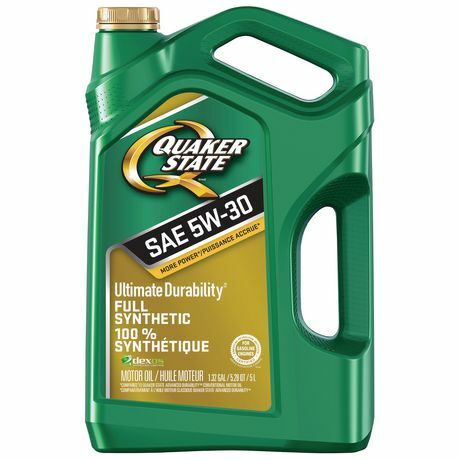 Quaker State® Ultimate Durability™ is our most powerful formulation, providing extreme engine performance and protection against deposits, which allows your engine to operate at maximum horsepower. Compared to Quaker State® Advanced Durability™ motor oil. • North American warranty requirements for worldwide car manufacturers, including European, Japanese and U.S.